VHIQ inclines towards binary either/or thinking and taking sides. 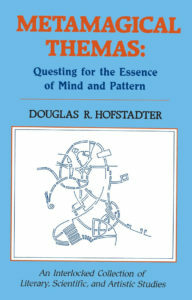 UHIQ inclines towards probabilistic thinking and balancing between contradictory possibilities. VHIQ is uncomfortable with chaos and seeks to impose order on it, even if none exists. UHIQ is comfortable with chaos and seeks to recognize patterns in it. VHIQ is competitive. UHIQ doesn’t keep score. The division into binary groups here – “normal human” (sub-150 IQ) and the Next (150+), and then at the next iteration between VHIQ and UHIQ, is confusing to me, particularly since it is IQ itself being used to classify people into the binary choices. In the comments, VD clarifies (?) that “It’s entirely possible for a 175 IQ to be VHIQ and for a 145 IQ to be UHIQ” but that just moves the binary classifying to a relative scale than an absolute one. Since he also asserts that you need to be at least +3 SD (ie, IQ of 145) to even qualify as VHIQ, it’s clear that the numbers do matter. There’s a glaring circularity here that I am doing a poor job of articulating. I’ll just make note of it and move on. Human cognition isn’t so easily captured by a single metric, even one built on such muddy foundation as the WAIS. It’s chaotic, and emergent, and inconsistent. This infatuation with pseudo-qualitative testing isn’t limited to WAIS; people overuse Meyers-Briggs and over-interpret fMRI all the time. Do qualitative metrics like WAIS or EDSS have value in certain contexts? Of course. However, as a signpost towards Homo Superior, it’s no better than Body Mass Index. * Why bother with false modesty? I do have a PhD in an applied physics field, after all, and I scored higher than VD on that one vocab test, so empirically it seems reasonable to suppose I am somewhat ahead of the curve. ** spouting off about fMRI in this context is a useful marker of a neurosci dilettante.